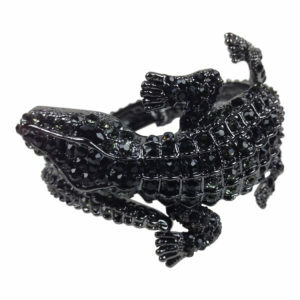 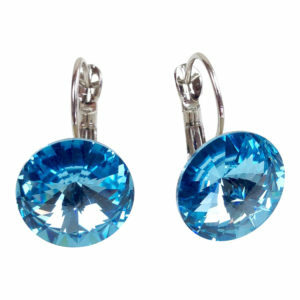 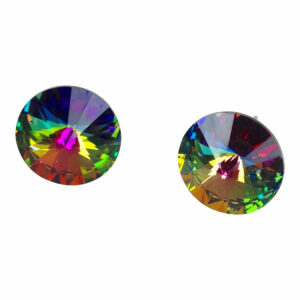 View cart “Blue Crystal Cuff” has been added to your cart. 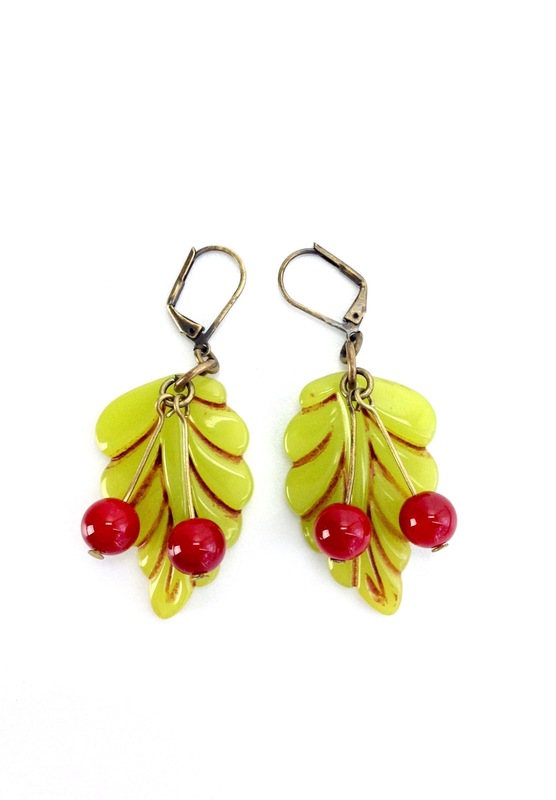 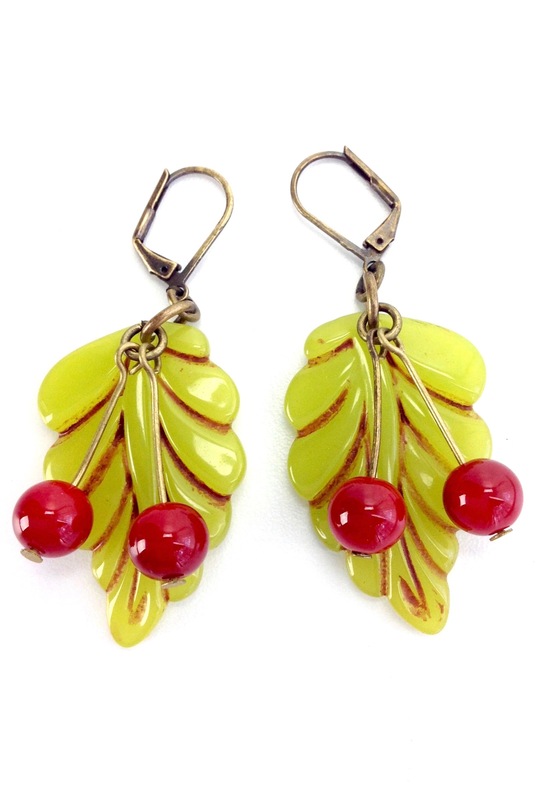 Chartreuse green leaves with dangling red cherries on locking french hooks. 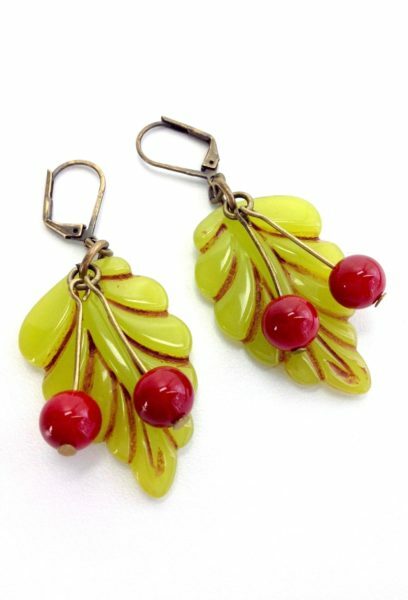 Reminiscent of bakelite from the 1930’s & 40’s, these molded leaves are made of hand-polished resin. 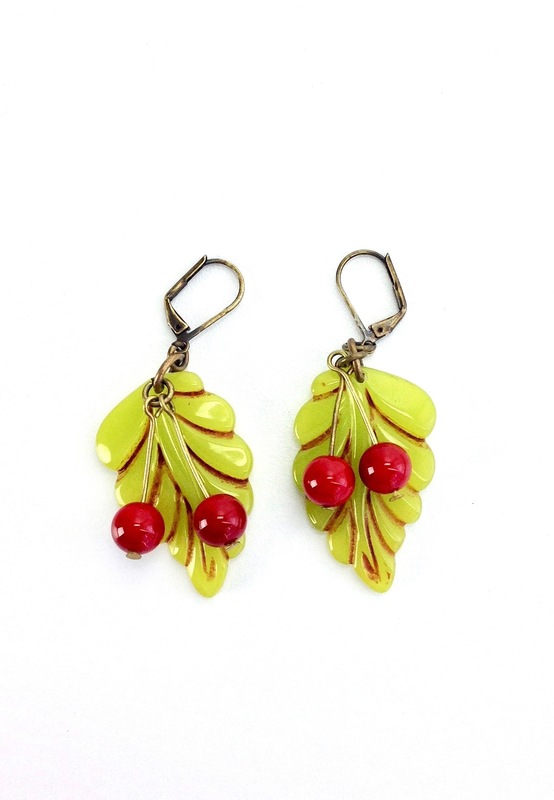 The deep red cherries are made of glass and are hand-wired to the antiqued brass hooks.